Kubix Freestanding Thermostatic Bath Shower Mixer, the ultra modern and artistic design developed by the manufacturer, Hudson Reed - Contemporary Kubix range. 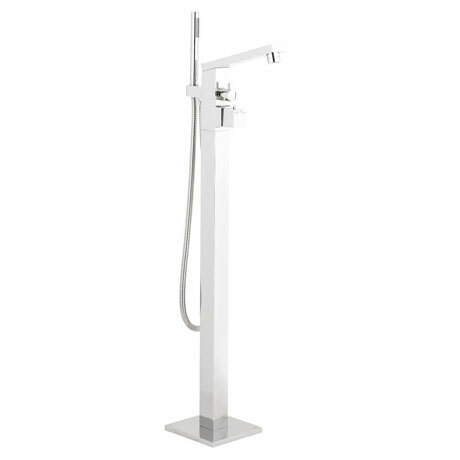 Kubix Freestanding thermostatically controlled bath shower mixer with chrome plated is designed to provide excellent performance with contemporary look. In built Ceramic Disk Technology offers excellent performance. The minimalist Kubix range offers clean right angles the latest in contemporary style, whilst the highly polished chrome surface reflects the very best in brassware design and provide magnificent contemporary look in your bathroom.